Residential/Commercial Safety Surveys: The West Manchester Township Police Department’s Crime Prevention Officer will conduct a free survey of your home or business and provide suggestions to deter burglary or theft crimes. Please call the Crime Prevention Department at 792-9514 for additional information. Crime Prevention Speakers Available: Civic groups seeking speakers for their meetings or events can arrange to have a West Manchester Township Police Officer speak on various topics. Also, business owners/managers can schedule safety discussions with their employees. Again, please contact the Crime Prevention Department for this service. The West Manchester Township Police Department, in a joint effort with the West York Area School District, teaches the D.A.R.E. core curriculum to fifth grade students, and the D.A.R.E. visitation curriculum to first grade students. What is the D.A.R.E. Program? It is a drug prevention education program designed to equip elementary school children with skills to resist the peer pressure to experiment with tobacco, drugs and alcohol. The program gives special attention to students prior to entering middle/junior high school where they are most likely to encounter pressures to use drugs. Each class of core curriculum students receives 17 hours of training. The West Manchester Township Police Department current D.A.R.E. Officer is Keith Roehm. The Police Department assists local day care centers, pre-school facilities and other agencies with these programs during which general safety, stranger awareness, and traffic safety, to name just a few, are stressed to children. The Police Department has assigned a police officer, on a full time basis, to serve with the York County Drug Task Force to address local drug problems. The Police Department has assigned two police officers to serve as needed with the York County Quick Response Team. The team is comprised of approximately 30 Officers from various York County Police Departments. 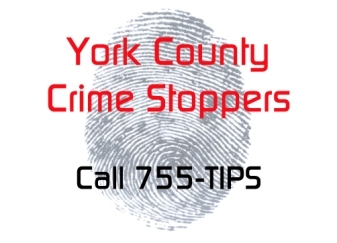 The Team responds to critical incidents throughout York County performing tactical duties. The Police Department has assigned two police officers to serve as needed with the York County Forensic Unit. The team is trained to process and collect evidence from major crime scenes. The Police Department works closely with the York County Center for Highway Safety in an effort to target D.U.I. offenders. This is accomplished by operating random D.U.I. checkpoints throughout the Township with the goal of stopping D.U.I. violators. The Department has been very successful in this effort. The Police Department offers the service of monitoring your residence while you are on vacation. This service is available to anyone residing in the Township. Simply call the Police Department at 792-9514 before you depart for your vacation. The West Manchester Township Police Department is contracted by the Borough of York New Salem to provide police services.